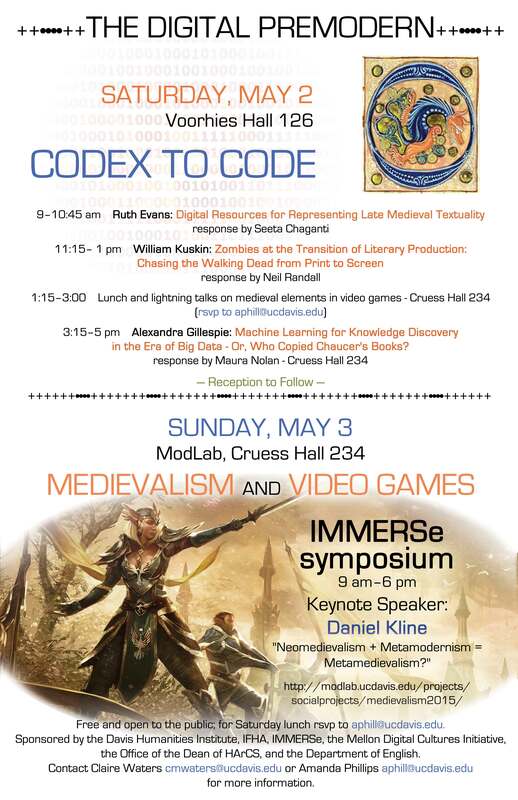 I’m pleased to announce the full schedule for the Digital Premodern, coming up May 1-3 at UC Davis. Text schedule, with full panel information, follows the flyer image. Please feel free to join us, and RSVP to me to make sure we can have enough food on hand.